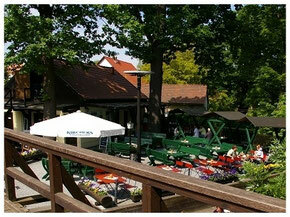 then look in the last minute area if something is for you or come without registration, booking or reservation to us at the small harbor "Am Spreeschlößchen" and take the desired classic Lübbenauer Spreewald boat ride, which lasts between 2 and 5 hours , The duration is clarified locally at the port where in the morning mostly 5, 4 or 3.5 hours are required and from 12 o'clock the 2 and 3 hours (depending on the weather or after interressee of the guests this can also vary). My colleagues ** from the Kahnfährmannsverein der Spreewaldfreunde e.V. (Small Harbor) are at your disposal from March / April to October from 10 am and continue to drive about every 20 - 45 minutes (main season). Depending on the number of guests and the season, the waiting time can be a little less or more. The last departure is usually around 15 o'clock. 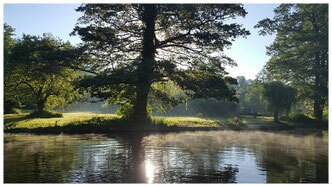 "Wotschofska/ Lehdefahrt" with locks and two breaks 15 & 60 minutes 18 € per person / children under 12 years 9 €. Additional services are not bookable for these trips but can be purchased directly at the port. Furthermore, you will find at the harbor a traditional Grukenstand with the products from Lübbenau and the surrounding area and the beer garden "Am Spreeschlößchen" directly on the water. Here you can bridge your waiting time with a small snack or a cup of coffee. 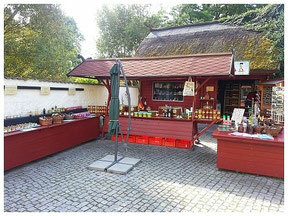 The beer garden offers many typical Spreewald dishes and is open daily from April to October. If you would like something to move about after a relaxed boat trip, then you can walk directly from the harbor to Wotschofska or Lehde. And you feel like paddling, just a few steps and you're at a boat rental company. * Beachten Sie die Datenschutzhinweise auf dieser Homepage! ** The respective driver of the Kahnfährmannverein der Spreewaldfreunde e.V. is responsible for the execution of boat trips on the small harbor "Am Spreeschlößchen" without registration and not Kais Spreewald Kahnfahrten.